Visiting San Diego, we spent some time at the San Diego Zoo and Balboa Park. 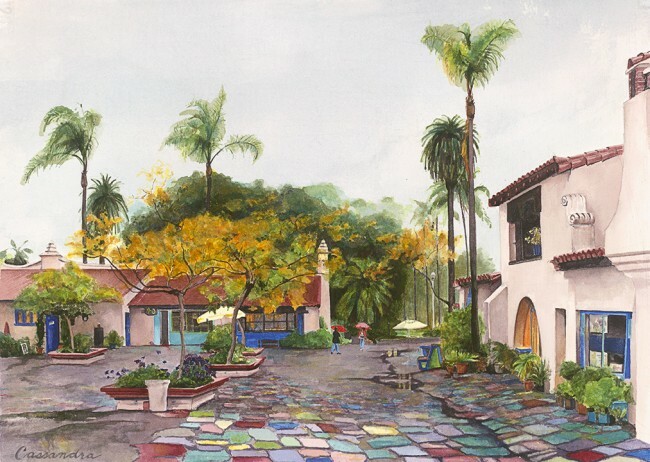 Nestled between the Museums and the Zoo is the Spanish Village Art Center. We were disappointed it was drizzling that day, a lot of the activities were drawn indoors, but it gave me some beautiful shots of the rain puddles shimmering and floating over the colorful floor tiles.